Made of elegant heavy brocade fabric, this challah cover boasts an elegant circle, comprised of four separate sections of gold and silver colored stars and flowers. 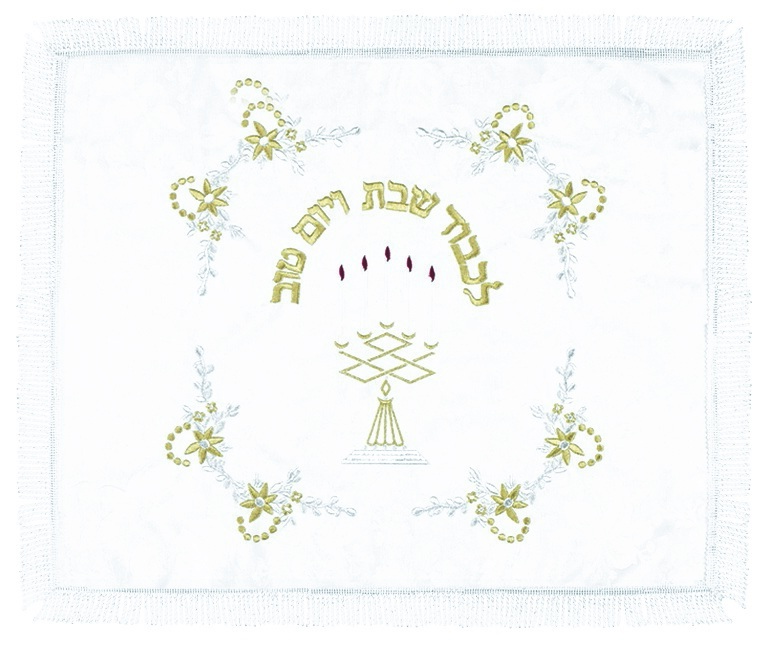 In the center an image of a candelabra with lit candles and the Hebrew words “Likavod Shabbat V’Yom Tov”, which means “In honor of Shabbat and Yom Tov”, are embroidered on top, in a semi-circle with gold colored letters. The edges are finished with twisted tassels.